Funeral home software allows owners and managers to schedule funerals and communicate with customers. Funeral home operators can use the software solutions to manage scheduling, resources, and custom services. The software often provides a portal through which customers request services and give details about the deceased.These platforms provide tools to store information regarding funeral services and the deceased. They help users create a database for previous services and plan for future services. Many come equipped with tools to purchase flowers, photos, and other custom components for services. Some include tools for funeral registry check-ins as well. Many funeral software can create reports to submit to accounting or database management tools. Osiris Funeral Home software is a revolution in accessibility, affordability and simplicity, reducing the effort and manpower needed to run your business. Passare is a funeral professional online collaboration platform. It's designed to help funeral professionals and families connect and collaborate anytime, anywhere, using any device. Funeral home website, management, stationery & DVD creation in one single-data-entry solution; complete with SEO, social media marketing & other services. 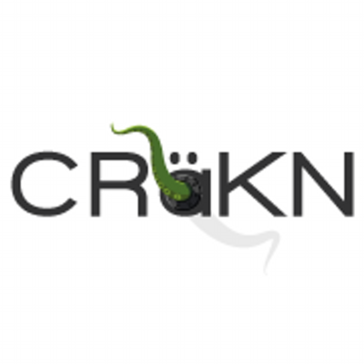 CRaKN is an all-in-one digital solution for death care industry. 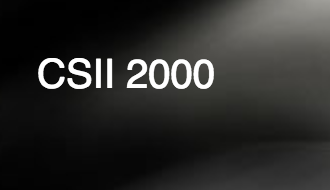 CSII 2000 offers funeral trust software, accounts receivables, report writing and general accounting such as accounts payable check writing and general ledger complete with financial statements. DataVault PM is a MS-Windows solution designed for everyday funeral home sales information management and reporting problems. Digital Cemetery is a software designed for the complete management of cemeteries and their activities. e-Register Book offers digital guestbook and lead generation services for death-care professionals. eziFunerals is a funeral marketplace designed to support individuals and families cope with end-of-life care, death and funerals. FDMS Network is a mortuary business management program that is web-based, updated automatically and backed up every night. Intersoft System's fdPOWER software is specifically designed for the unique requirements of the funeral industry in New Zealand and Australia. Designed to enhance your business and work the way you do, reflecting the individual nature of each Funeral Home, whilst helping present your business the way you wish to. FM9000 is a funeral management information solution. FMArranger is a Windows based system with integrated accounting designed to generate all documentation required for processing funeral calls. 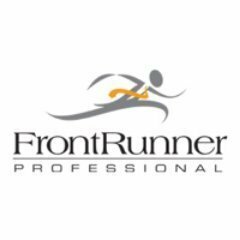 FSAR is a funeral home management solution. EMCOM is a comprehensive funeral management software. FuneralNav app is designed to allow users to follow the lead vehicle in a funeral procession using GPS technology. FuneraLogic is a hosted funeral home management application. FuneralOne's core services include strategic funeral home web site design, personal funeral service consulting, and funeral tribute video software. Halcyon Funeral Home Management Solution is designed to allow users to manage all aspects of one or multiple funeral homes. MACCSwas developed to address all the computer software needs of an organization providing cemetery, mortuary, and funeral services. MemorialMaster has become the industry choice for discriminating directors who want to provide their families with the highest quality product. MemorialSoft is an updatable Funeral Home Web Site, High End Obituary Software with the ability to Leave Condolences, Sign Guestbooks, & Send Messages. FuneralTech Intelisync platform enables you to enter your client family's information just once, and then automatically syncs this data everywhere you need it, allowing you to complete forms, contracts and invoices, and it saves these documents to each case for easy retrieval. Mortware can be scaled to meet the needs of any size funeral business. For records, forms, financials, scheduling, Inventory, reports, leads generation and follow-up. No matter what your needs are; Mortware has a solution for you. Nexus 4, the flagship product of Memorial Business Systems, is the leading office management system for cemeteries and funeral home / cemetery combinations (combos). #1 all-in-one software to grow and manage your cremation business. Phoenix Pet is a full service pet crematorium management product. Prospect is a CRM/ Marketing tool for the death-care industry. Browser-based software solution designed for the funeral industry that allows customers to complete needed paperwork from their home. TerraPro is a desktop application (local or on your network or the cloud) which assists in completing the paperwork (forms, billing, memorial merchandise) required of funeral homes. For a list of features, see our website. Since 1983, TerraPro has been known for service, custom forms, ease of use and personal attention. Many funeral homes have found this close relationship to be of value to them, and most of our customers have been with us for over 20 years. Continental Computers provides Funeral Home Software Programs for MAC and Windows to track Crematory Records and other Funeral Management System. The Funeral Home and Mortuary Software Solution from ACS. Create DVD tributes, memorial stationery, candles and more with our 500+ customizable themes! Ultra by Ultimate Computer Software has been written with three concepts in mind-ease of use, speed, and true value for the dollar. The Ultra's basic level encompasses Funeral Management, Pre-Arrangement Management, Cash Disbursements, and General Ledger. Hi there! Can I help you find the best Funeral Home solutions?